New evidence continues to emerge on the formative potential of the early years in a person's life. NSF is investing in programs to transform STEM teaching and learning in pre-K and the early grades. This spotlight features NSF-funded projects and resources that seek to leverage these early learning opportunities. 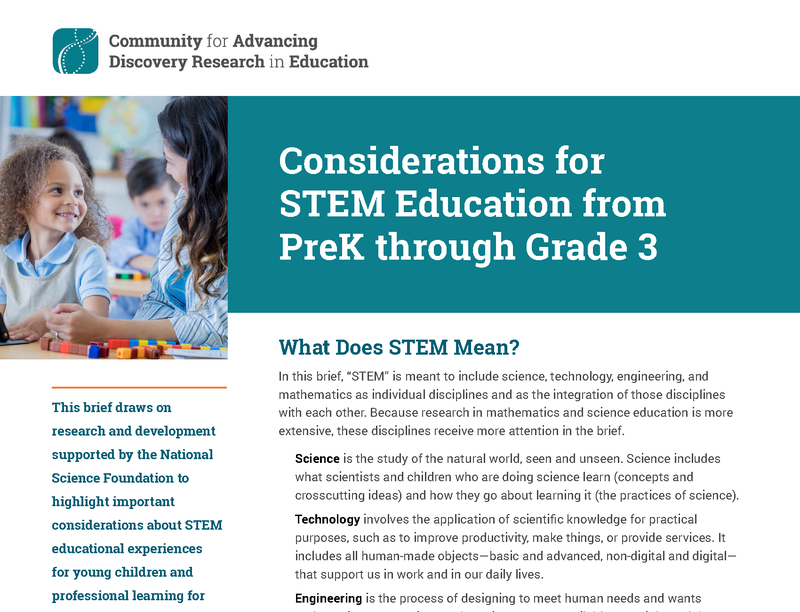 This brief draws on research and development supported by the National Science Foundation to highlight important considerations about STEM educational experiences for young children and professional learning for educators who provide those experiences. See References, Authors and Contributors, and Practitioner-Oriented Resources. This brief was produced in connection with the STEM Smart event held in Washington, D.C. in December, 2013. It highlights challenges, key research, and promising program in critical areas of the early education landscape. Learn more about the STEM Smart workshop on early childhood. Featured in the 2016, 2017, and 2018 STEM for All Video Showcases, these 3-minute videos are an engaging way to learn about early childhood work funded by the National Science Foundation's DRK-12 Program. Click the images at the bottom of the page to view a video. Browse the work of DRK-12 projects. 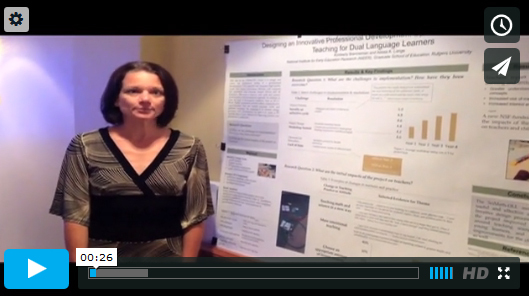 These posters feature work in early childhood education presented at the 2014, 2016, and 2018 DRK-12 PI Meetings. 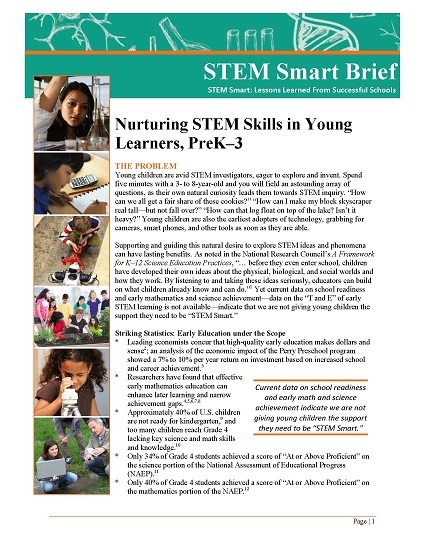 These resources were featured at the STEM Smart event held in December, 2013, and represent the work of various STEM education projects focused on early childhood. Learn more about these programs and projects. 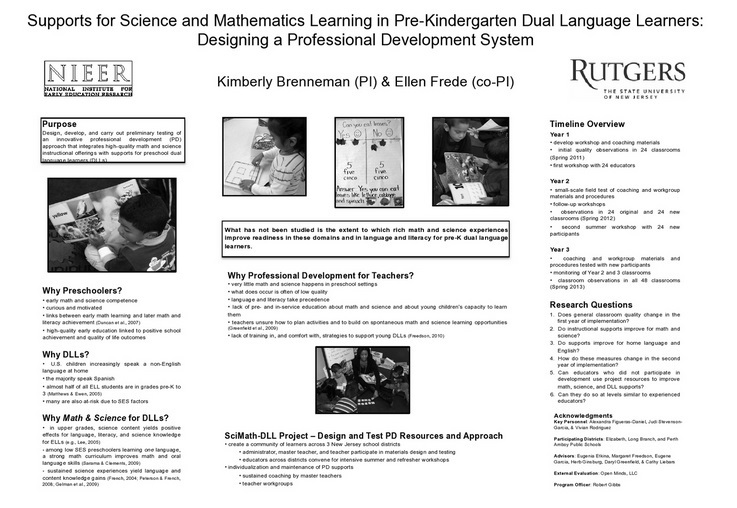 At the 2014 DRK-12 PI Meeting, one breakout session, "Innovations in Early Childhood STEM Curricula and Professional Development," featured a poster symposium with representatives from five preschool projects across STEM domains that have developed curricula and provided teachers with supports for motivating all children’s engagement with STEM. In this video, representatives discuss their projects, major challenges faced, and what they have learned through their work.